First time I'll try to do a journal. 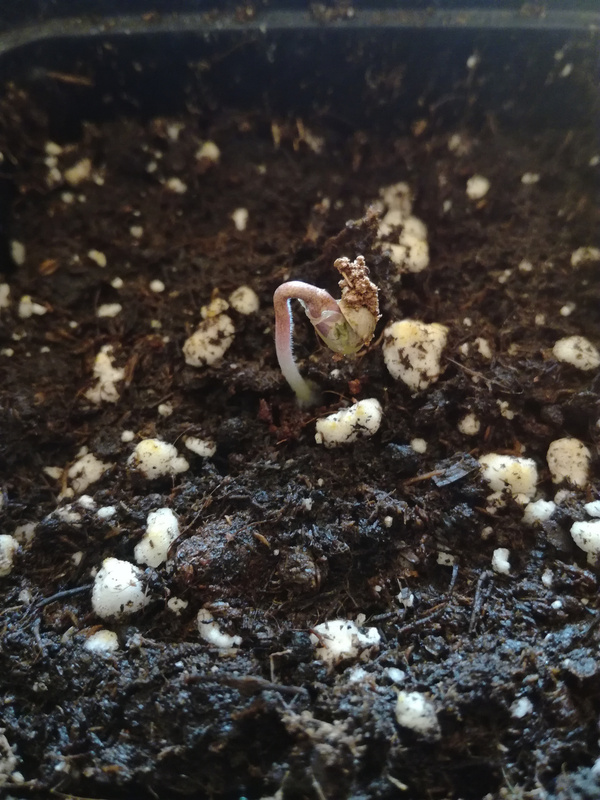 I don't know how often I will do updates, but here we go. 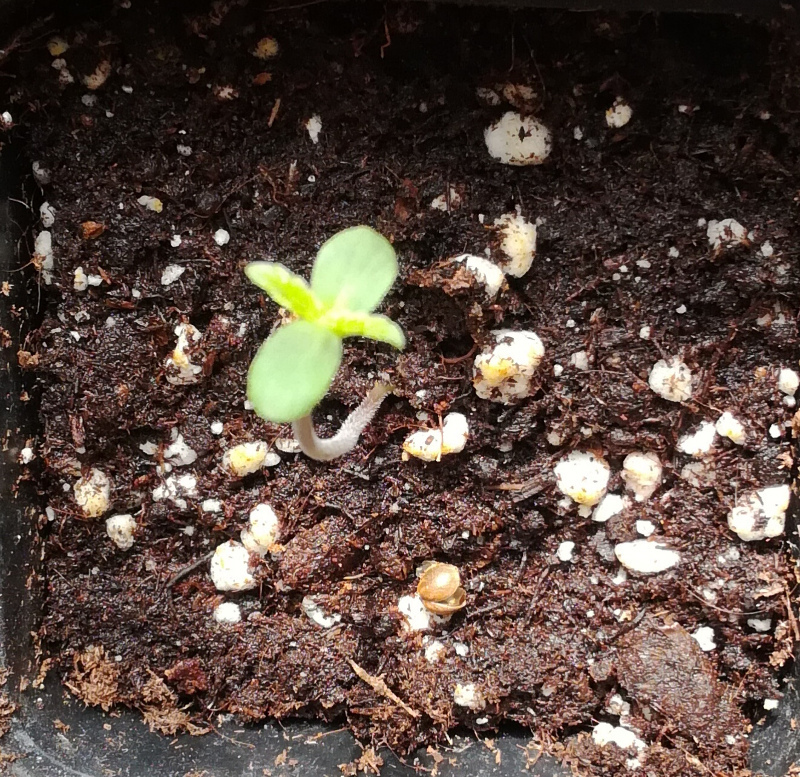 This is intended as a microgrow. It's not about yield but about learning and hopefully get a few buds to try a different strain. For legal reasons I'll only do one plant at a time and I won't post pictures that show much of the surrounding area. My grow medium is soil, it's BioBizz Lightmix. Fertilizer is going to be Biobizz Grow and Bloom. Soil and fertilizer are organic and vegan. I'll spray neem from time to time to keep her happy. Last year I had problems with thrips and mildew, I'll try to do better this time. 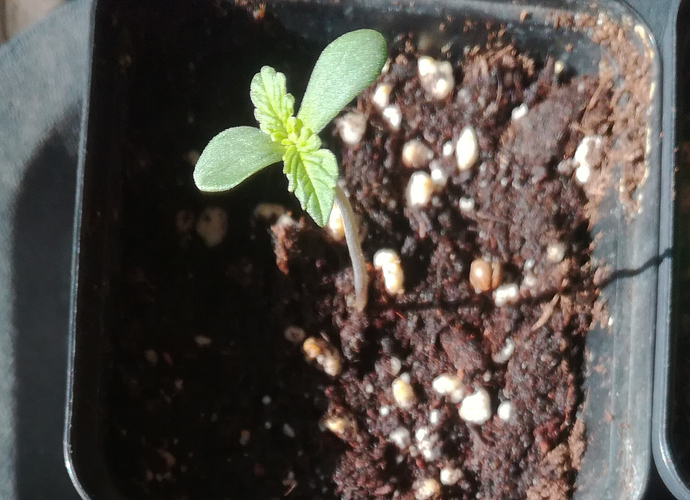 I use a 250ml pot to keep it small, don't plan to transplant her. 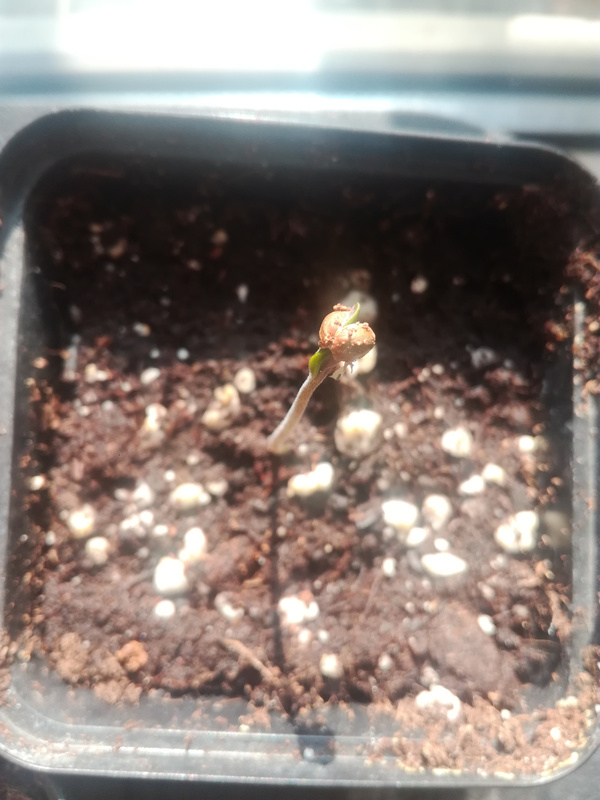 Strain is DP Auto Euforia, it's supposed to take 10 to 11 weeks to finish. We are still indoors. There's supposed to be some frost during the coming nights. 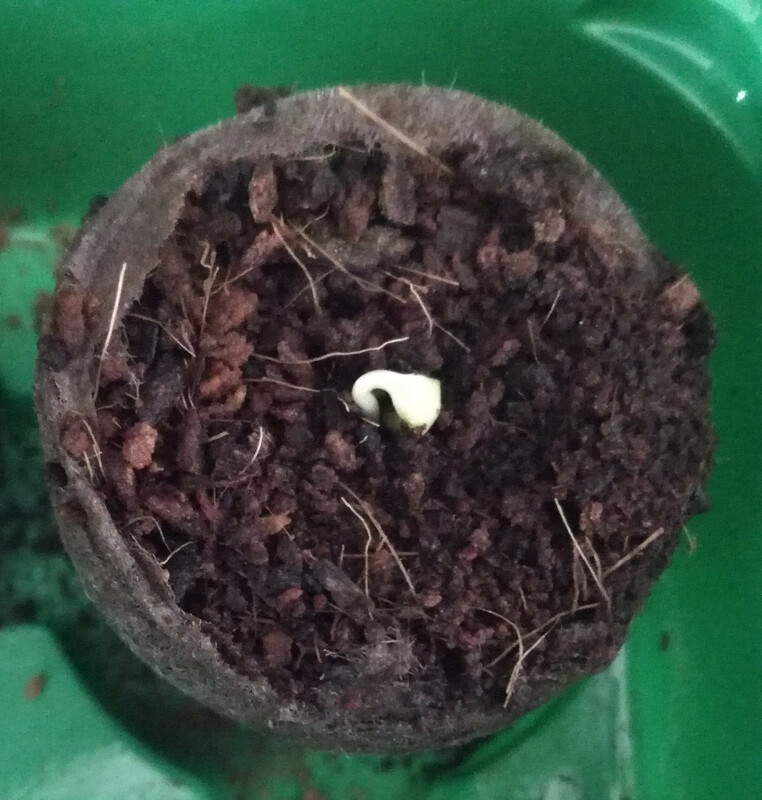 "Look, I'm wearing a hat"
Welcome to OVERGROW @allotment looking forward to seeing more in your grow! Love watching autos do their thang! 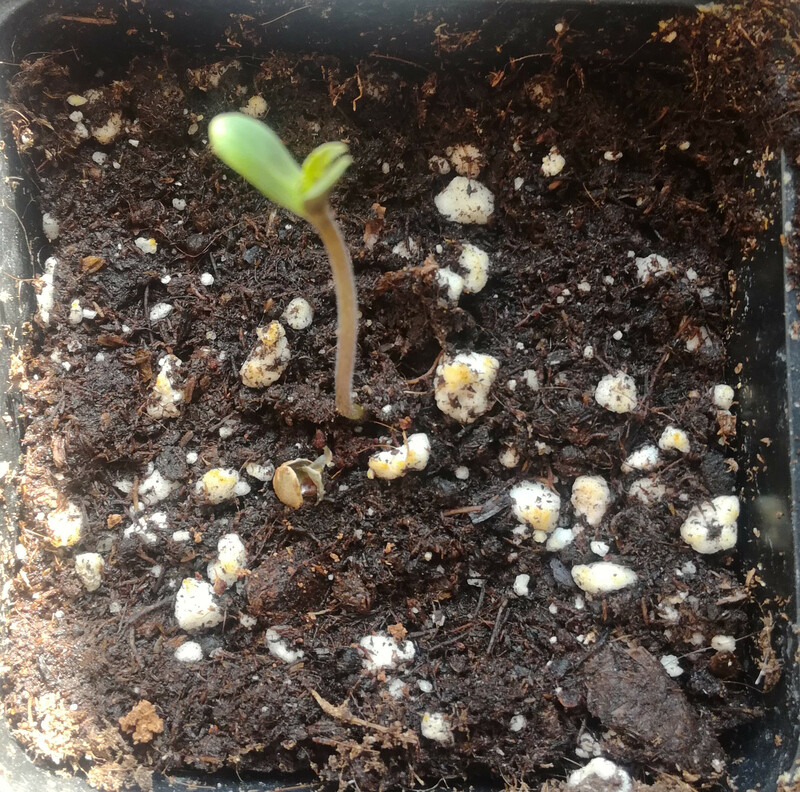 Welcome to my little grow, thanks for watching! Hope she won't get stage fright from all the attention. Unlocked an Easter egg. 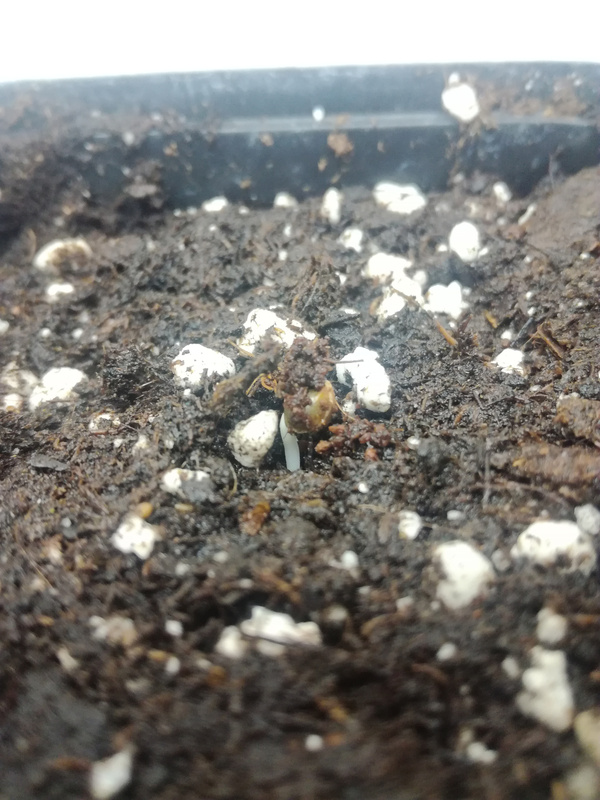 The Finola bag seed I threw in a coco pellet actually sprouted. Don't know what to do with it, I think I'll keep it for now. Weather got pretty cold and will stay that way till next week, she'll have to play indoors for a few more days. Might be better for her, she can get used to the sun slowly. Autofocus was more interested in the soil, sorry for the blurry pic. I realized my neem was best before 2011 LOL. Gonna get a fresh bottle. I had some thrips last year pretty early in the grow and could not really get rid of them throughout the grow. Hope I can keep them from moving in this time. I'll do some reading about essential oils too as I have quite a few of them anyway. 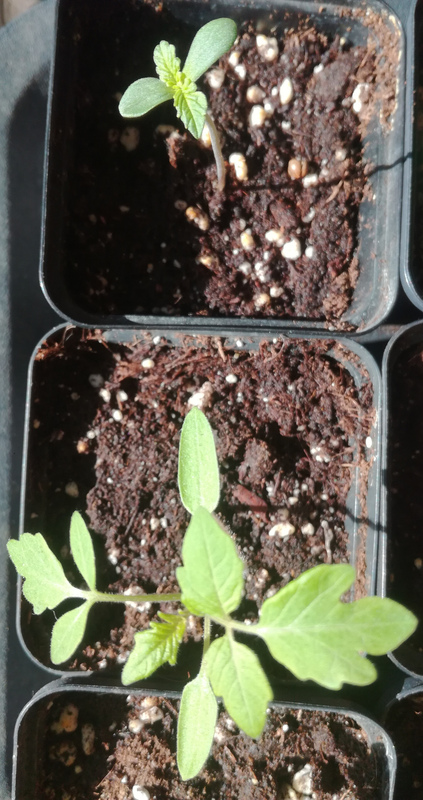 I think about adding a layer of vermiculite on top of the soil to keep away fungus gnats. Trying to find reasons why not to do it, any con arguments? To see how bad it really is, slice up a potato and put on top of the soil for ~4 hrs then look - they are attracted to the starch and natural gasses as it starts to decompose. If its really bad then get something with BTI (Bacillus thuringiensis israelensis) as they may have developed an immunity to neem though a fresh bottle will be better to combat them with....either way, reduce your watering and humidity as they really love a moist environment, broadcast some playground sand on top as it cuts them up.....can also get some sticky traps and/or use vinegar traps to watch the population go up or down. Thanks a lot, but luckily I don't have any yet. Was just thinking about taking precautions. I had to battle them in the past, had to use nematodes once. I did not know the potato thing, very helpful. Thanks. Would you say a layer of sand is better than vermiculite? I used sand for my Aloe when I had a problem with fungus gnats. I have vermiculite around anyway so I thought I could try that as a protection layer. But I could also steal some sand from the playground buy some sand. Not much to update. We actually got snow More indoor time for my outdoor grow. Bought fresh neem oil. If the weather forecast is right, she will stay in for another week. I'll look for a small fan tomorrow, she needs a bit of wind. I may have started ordering a few parts for a cheapo indoor growspace. OG is a baaad influence.